We are a well-known name in the market in offering a wide range of Manual Call Point. Offered products are exclusively manufactured using the best quality input factors and modern technology in tune to the set industry quality norms. The offered range of products is tested on various parameters. We assure timely delivery of our offered products. We, "Palladium Safety Solution Private Limited", are an eminent manufacturer, trader and exporter of Fire alarm systems, Fire Extinguisher, Fire Fighting Equipment. 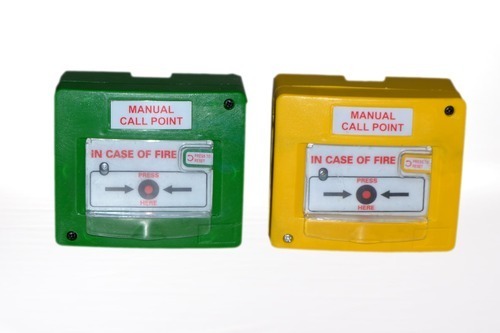 Service provider involved in providing all kinds of Safety/Protection/ fire fighting solutions which includes Installation & maintenance of Fire alarm systems, Fire Extinguisher, Fire Fighting Equipment, Fire Safety Training and Fire Audits etc. Extensively applicable in corporate offices, multinational companies, hospitals & nursing homes, educational institutions, shopping complexes & malls and industrial units.